Dr. Cecil Staton will become the vice chancellor for Extended Education for the University System of Georgia, announced Chancellor Hank Huckaby. In his new role, Staton will be responsible for leadership of the strategic and long-term initiatives of Military Affairs, Extended and Continuing Education, Entrepreneurship Education and International Education for the University System. Staton’s new position will serve as the liaison between the Board of Regents, USG institutions and key government, business and postsecondary partners. As vice chancellor for Extended Education, Staton will work with the deans, faculty and research staff to address legal and regulatory requirements that may have an impact on related program and service areas. In addition, Staton will work with the BOR’s economic development office to identify funding and expansion opportunities with the private sector, government and USG supporters. “As we continue to focus our academic efforts in ways to reach more Georgians with higher education opportunities, it became clear that we needed to coordinate several efforts with key constituencies and create an overarching leadership role to drive our work,” said Houston Davis, executive vice chancellor and chief academic officer for the USG. “Dr. Staton has the knowledge, contacts and experience to help us shape this new leadership position and create programs and collaborations that will benefit our students,” Davis said. Staton comes to the University System with years of experience in both the higher education sector and in private industry. Between 1991 and 2003, he was associate provost, associate professor and university publisher at Mercer University in Macon. During his tenure he secured more than $4.5 million in endowment for Mercer’s academic publishing program. Prior to his work at Mercer, Staton was as assistant professor at Brewton-Parker College in Mount Vernon, GA from 1989-1991. His private sector experience includes founding and leading three communications companies: Smyth & Helwys Publishing, Inc., a publisher of books and curriculum products; Stoud & Hall Publishers, Inc., which publishes books in the fields of politics and current events; and Georgia Eagle Media, Inc., a holding company for broadcasting and media properties, including 15 radio stations and one television station, all located in Georgia. 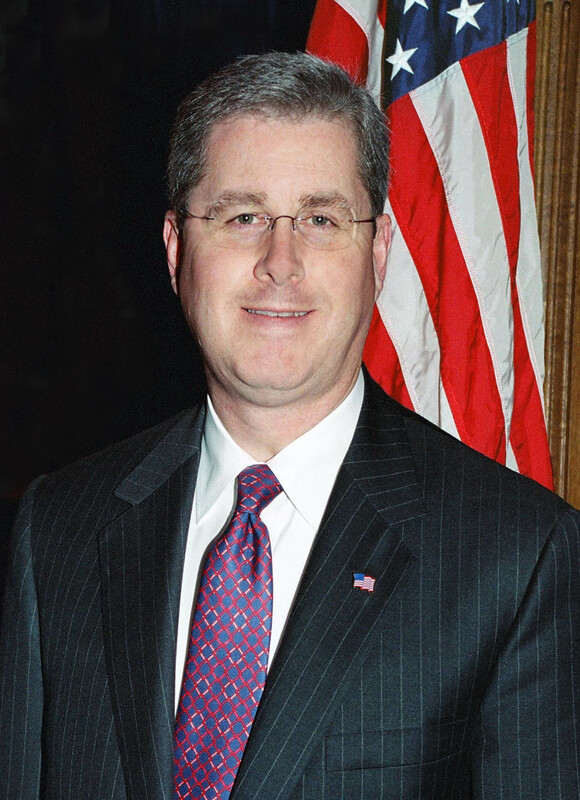 In addition to his background in higher education and the private sector, Staton had a 10-year political career, beginning with his election in 2004 to serve the 18th Senate District, a seat he held until resigning to accept the position in the University System. During his Senate tenure, he served as vice-chairman of the Senate Republican Caucus and as Majority Whip. He also served as a member of the Appropriations, Banking and Financial Institutions, Higher Education and the Reapportionment and Redistricting committees. Additionally he served as a member of the Rules, Assignments and the Regulated Industries committees. For two terms, Staton served as Chairman of the Senate Appropriations Subcommittee on Higher Education. He earned his Bachelor of Arts degree from Furman University, Greenville, SC, a master of divinity as well as master of theology degrees from Southeastern Baptist Theological Seminary, Wake Forest, NC, and his doctor of philosophy degree from the University of Oxford, England.